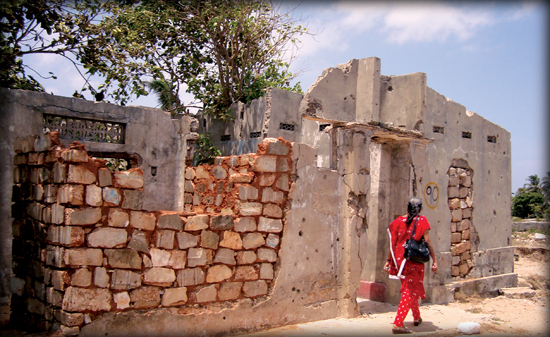 Six years after the end of the war, Sri Lanka has estimated the number of women-headed households in the island’s North to be a staggering 50,000, while a recent study, borne out of Jaffna, highlighted the great economic divide between the women of the North and the South. Earlier estimates by community-based organizations quoted the number of women-headed households in the former conflict zone to be between 40,000- 60,000. A 2010 survey conducted by the Jaffna-based Centre for Women and Development claimed that the Northern region had approximately 40,000 female-headed households – including over 20,000 in the Jaffna District alone. “Three factors have reduced the male-headed households in number: the war, disappearances or being in military custody,” said Saroja Sivachandran, the Centre’s director, soon after the release of the study. Can we talk? : Are men designed for monogamy?